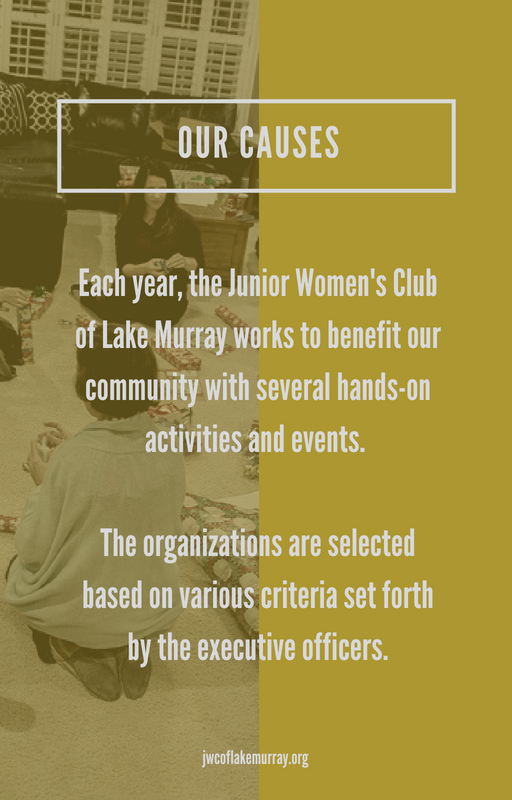 JWC of Lake Murray is a non-profit organization started in 2011 as an effort to involve local young women in the betterment of the Lake Murray area community. 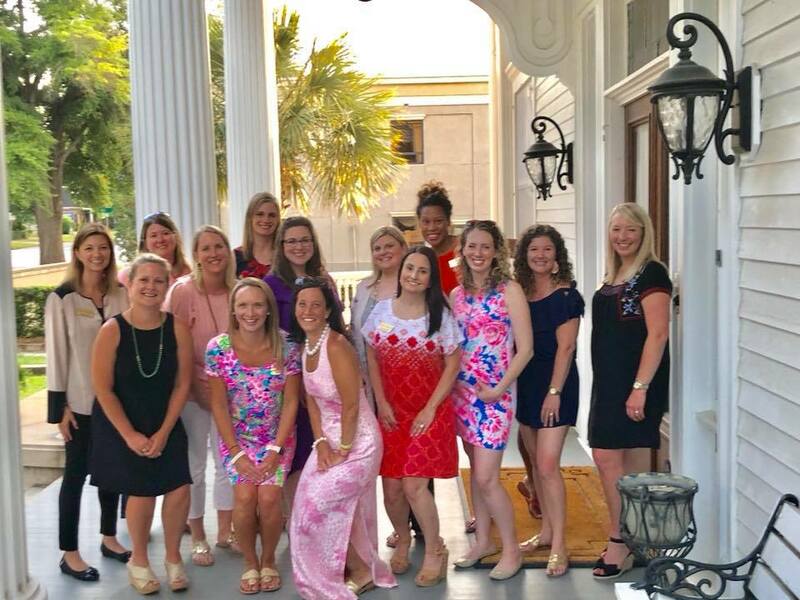 Our membership is composed of women from throughout the Irmo, Lexington and Columbia area committed to both volunteer service and philanthropy. Our members participate in volunteer activities with several local organizations as well as fundraising efforts to benefit local charities. 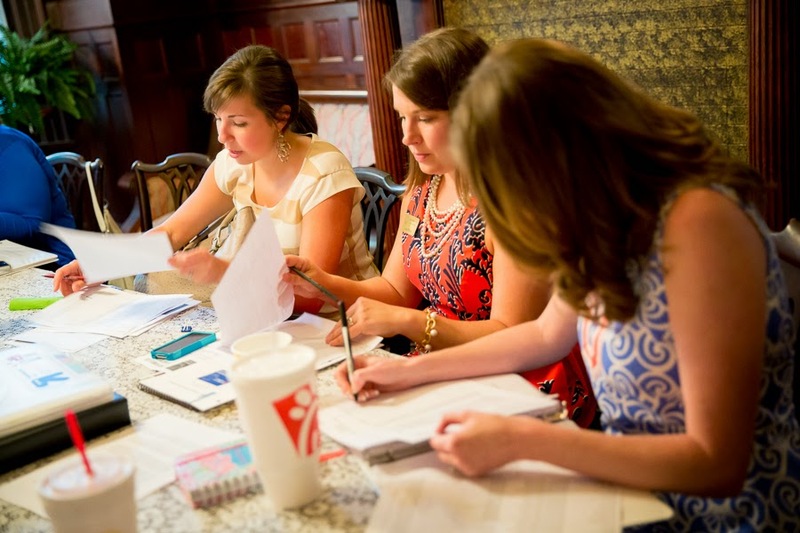 Members participate in chapter meetings and club socials throughout the year to socialize, plan for club events, and learn more about ways to get involved in our community. 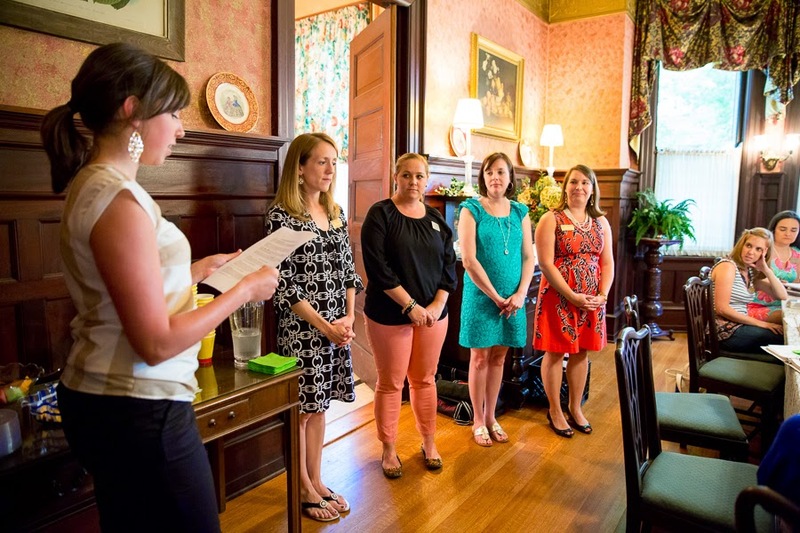 Our chapter meetings are held on the first Tuesday of each month at The Saluda River Club in Lexington, SC. We do not meet in July, August or December. We welcome visitors at our monthly meetings and at our annual fall membership event. Please contact us at JWCLakeMurray@gmail.com if you are interested in club membership. 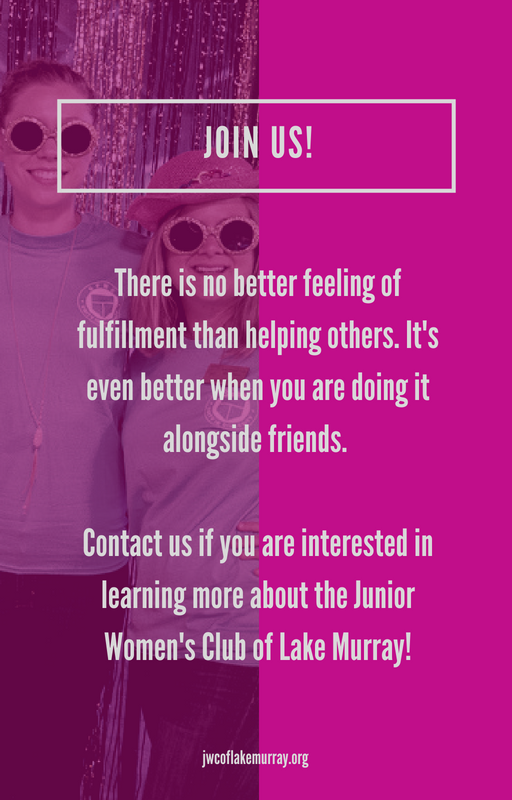 On the international level, JWC of Lake Murray is affiliated with the General Federation of Women's Clubs (GFWC). 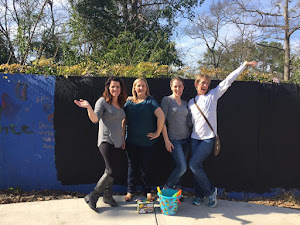 The GFWC is a unifying force, bringing together local women’s clubs, with members dedicated to strengthening their communities and enhancing the lives of others through volunteer service. With 100,000 members in affiliated clubs in every state and more than a dozen countries, GFWC members are community leaders who work locally to create global change by supporting the arts, preserving natural resources, advancing education, promoting healthy lifestyles, encouraging civic involvement, and working toward world peace and understanding. Annually, GFWC members volunteer over 13 million hours and contribute approximately $35 million through more than 160 thousand club projects. 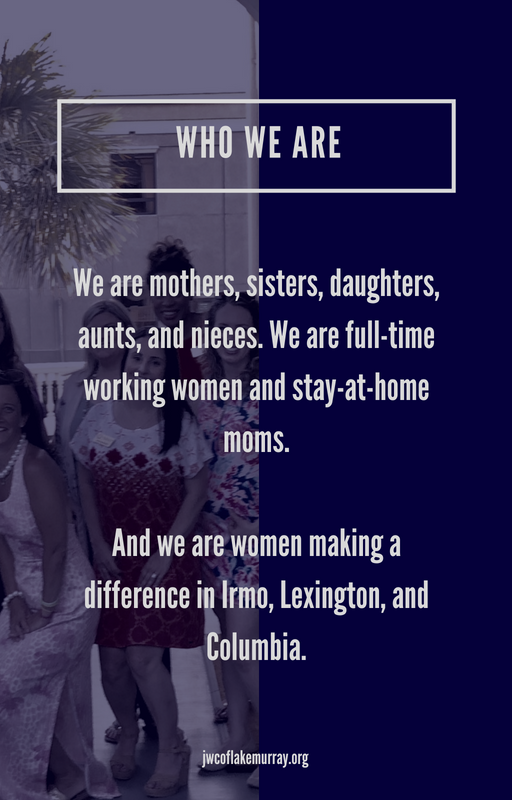 Our parent organization on the state level is the General Federation of Women's Clubs of South Carolina (GFWC-SC).